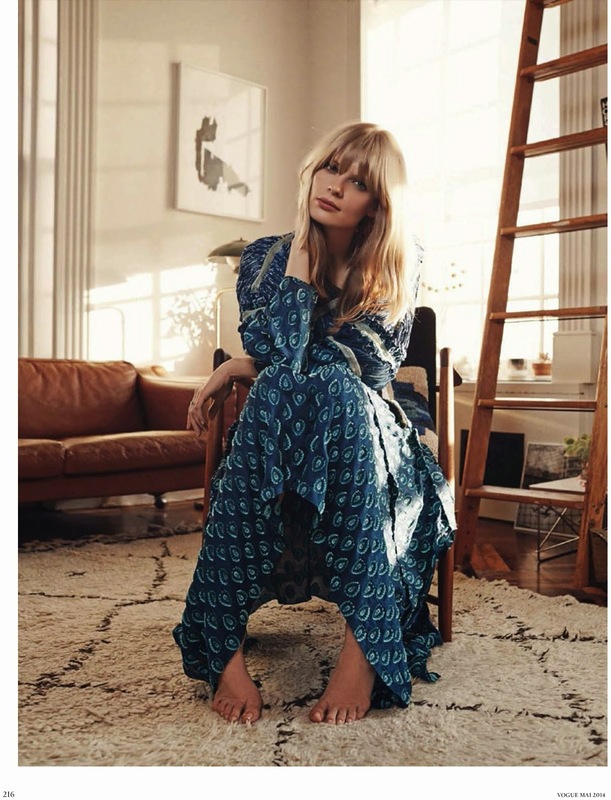 German top model Julia Stegner collaborates with Australian photographer and husband-to-be Benny Horne for an editorial feature in German Vogue's May 2014 issue. "Every day you make me Smile" features the expectant mother in a series of intimate portraits shot by Horne in the comfort of their abode. The twenty-nine year old industry veteran is the picture of serenity as she poses curled up in an armchair, perched on a window ledge, and while cozying up to a furry four legged friend. 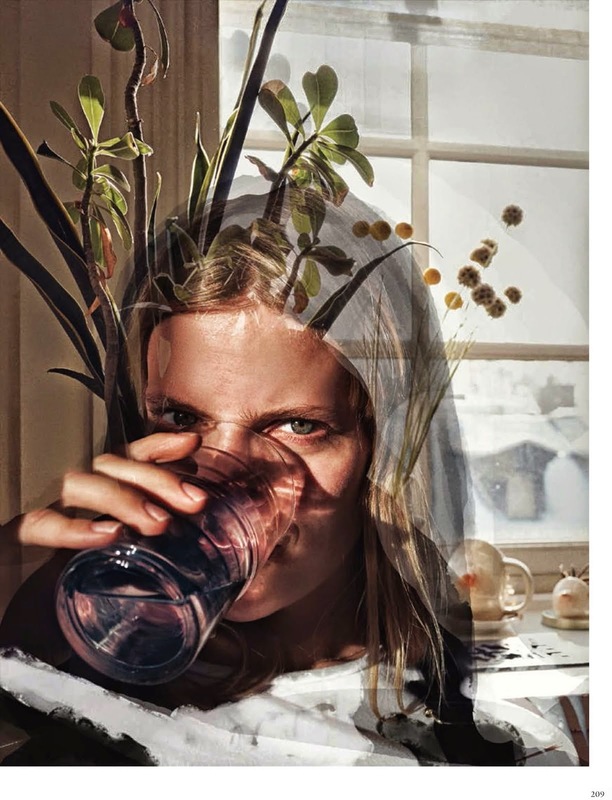 Stylist Nicola Knels ensure the noticeably pregnant Stegner is dressed for comfort in luxuriant sweaters, ponchos, and free-flowing sun-dresses and skirts from the collections of Chanel, Prada, Céline, and Miu Miu amongst others. The editorial takes on a whimsical quality courtesy of cute illustrations of clouds, rains drops, and child-like scrawl. The Women Management repped beauty has enjoyed a prolific career modelling for the American, German, French, Italian, and Japanese editions of Vogue and has in recent years been a regular runway fixture at the Victoria's Secret Fashion Show. Stegner's girl next door appeal, expressive features, and spectacular 182 cm physique have commanded the industry's attention since she was scouted just weeks shy of turning fifteen by Louisa von Minckwitz founder of Louisa Models.